Q. I go to confession at least once a month. Most of my friends don’t go as often, and some don’t seem to go at all. A couple of my friends tell me I’m being OCD about it and I should get some help. I’m not sure how to tell them that they’re the ones who need the help. A. 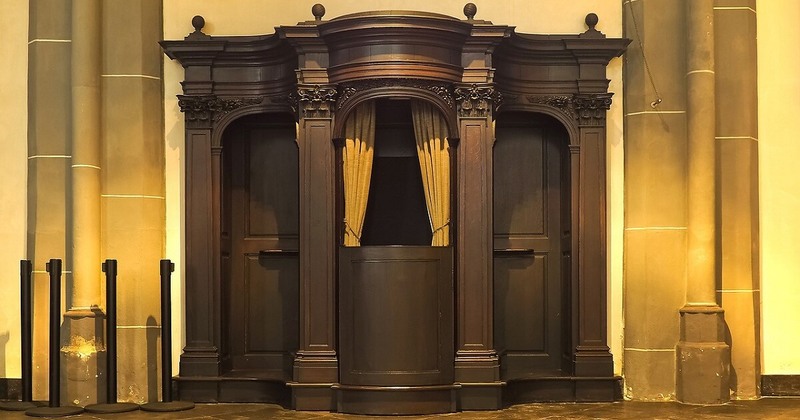 Generally speaking, I think going to confession once a month is a great idea! It’s a very good way to stay close to God and keep His grace alive in your life! The Sacrament of Reconciliation is a wonderful gift from God because it’s His way of cleansing us of our sin and weakness. In His great love for us we are immersed in His Divine Mercy every time we celebrate that sacrament. So keep it up and don’t let your friends tell you differently. As for trying to tell them that “they’re the ones who need the help,” let me suggest you do it in a very subtle and positive way. The best way to tell them this is by your good example. Share with them the blessings you see in your life by using this sacrament on a regular basis. Let your faith in God’s grace shine forth for them to see. Often, when our friends see good things happening in our lives, they will want to imitate what we are doing. So the more you can share the good fruits in your life with them, the better. Since you mention OCD (Obsessive Compulsive Disorder), let me also offer a comment on this struggle that some people deal with. I offer it as a general comment that some need to hear rather than presuming that this is your struggle. But it’s worth mentioning since some people do struggle with this. OCD is a very heavy cross. In the spiritual life it comes out in the form of scrupulosity. In this case the person becomes so focused on his/her sin that it seems everything is a mortal sin, and they can feel a need to go to confession all the time. In fact, some can feel as though they need to remember every last sin and offer every detail of their sins. And then after confession, they may worry that they did not confess everything and feel a need to return to the confessional right away. This is a real burden. What I have found to be helpful in this situation is for the person struggling with this to go to confession to the same priest each time rather than several different priests. This way the one priest, who is aware of the tendency to scrupulosity, can help that person to stay balanced in their confession. Over time they can start to be freed of their scrupulosity and begin experiencing the freedom that God wants for them. Our God is a God of abundant mercy, and He wants us to know and experience that mercy. Hope that helps clarify things. Keep up the good effort of practicing this wonderful sacrament!